Let’s face it, the economy still isn’t 100% recovered from whatever happened back there and a lot of people are beating the pavement for months on end looking for an open position. And, this may not be your situation at all. Some people wish to move down the ladder to a less stressful position by choice. I know that when I first got sober years ago, I took a position that I was highly overqualified for because I wanted to concentrate on other things for awhile and work wasn’t really one of them. Whether you are applying for jobs that you are overqualified for because you have reached a point of desperation in your job search or for some other reason, there are ways to make this work and land the job that you are targeting. Pay will be an issue. If you have a lot more experience and/or education than the job requires, you are probably used to being paid more than the job pays and this will be an issue for you. You’re confused. Hiring managers will worry that in your zeal to just “get hired” somewhere, you may not have taken the time to really consider the limited scope of the job as compared to what you have done before and that you will be unhappy once reality sets in. You’ll be bored. Hiring managers often think that someone who is used to more high level, and potentially exciting, work may be bored with a job with less of these elements. The May-December factor. Consider the fact that you may very well have a manager who is much younger than you, although this can happen anywhere, and with less experience than you. The latter can be an issue, especially if it is that manager that is doing the hiring as they may feel threatened by your experience. You’ll leave. A big concern, and a valid one, is that you will leave as soon as something better comes along that better suits your background and experience. So, there are the reasons that you are being turned away for some positions and some of them are quite valid. What to do? There are several things you can do. One is to re-tailor your resume to better suit the positions that you are applying for. When I started applying for file clerk positions right out of rehab, I took my Master’s degree off of my resume and re-worded some of my past employment job titles so that they sounded less “important”. I got a job within 24 hours and that job grew into something else much larger with the same company over a number of years, as I grew. 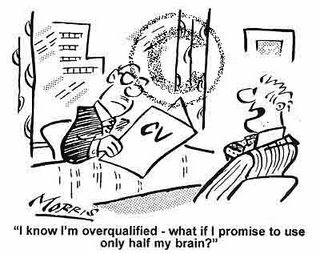 Another thing you can do when applying and interviewing for jobs that you are overqualified for is to simply address these issues head-on with the hiring manager. Explain to them why you are genuinely interested in the position, the aspects of the job that you are crystal clear about and why the salary and responsibilities are perfect for you. 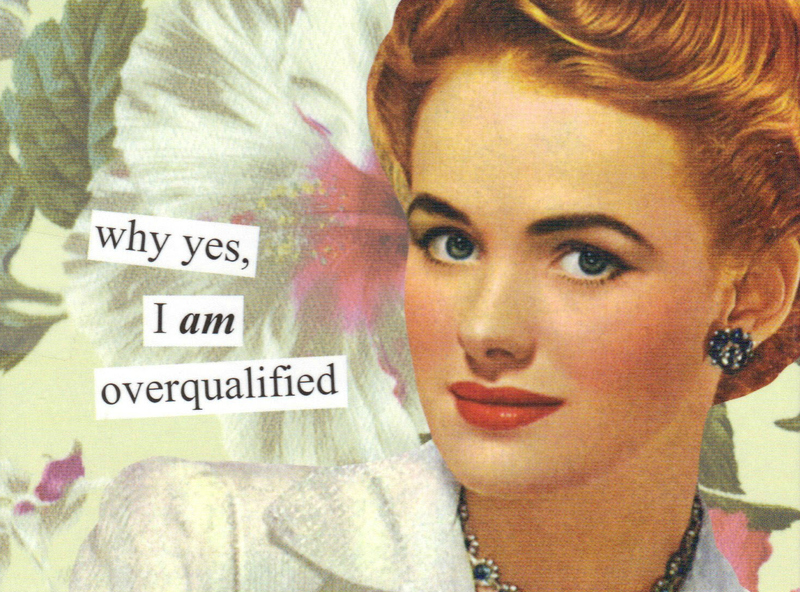 Let them know that you don’t consider yourself over-qualified for the position at all, but perfectly qualified!